The newest member of the SURFOX family, the SURFOX 304 MIG & TIG system! 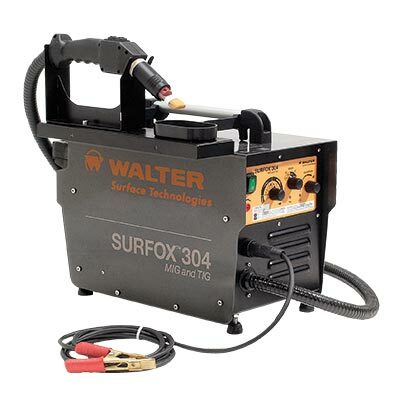 The SURFOX 304 is our new patented electrochemical cleaning system with a flowthrough system, which facilitates the cleaning of MIG, TIG and spot welds, without altering the surface of the parent material. Paired with two new durable high resistant and conductive cleaning brush applicators, it allows for quick and efficient cleaning. The triangular sleeve will optimize the brush for MIG welds and large surface areas and the cylindrical sleeve is ideal for tight corners and spot welds. Furthermore, this system guarantees no pitting thanks to dynamic current control electronics.